Hemp seed has been called a superfood, but unlike some other fad foods that have been given the same label, it’s probably more deserving of the reputation. Humanity has utilised hemp seed as a food source for thousands of years and thanks to growing awareness, is now enjoying a resurgence in popularity in some countries. Hemp seed is produced by the industrial hemp plant, a variety of the Cannabis sativa species that has thousands of other applications aside from food. While called a seed, it’s also referred to as a nut. Technically though, it’s actually a type of simple dry indehiscent fruit called an achene, which also includes sunflowers seeds. An indehiscent fruit is one that doesn’t crack open when it ripens, but relies on consumption or decomposition to release the seed. An achene consists of a single seed. Hempseeds are spherical in shape, light-brown in colour and weigh very little – around 0.025 g or 25 mg per seed including the hull. While there’s approximately 600 seeds in a single tablespoon, the industrial hemp plant is a prolific seed-bearer; yielding 0.6 to 2.4 tonnes per hectare when cultivated commercially and depending on variety and growing conditions. What’s So Good About Hemp Seed? Hempseeds have a high nutritional value (see below) and are a versatile food source that has a pleasant nutty flavor. They can be consumed raw, used in low-heat cooking, ground into flour, sprouted (raw whole seeds), turned into a form of plant milk, or used to make oil. Hempseed oil can be utilised for cooking, but also in the production of paints, varnishes, soaps – or even as a fuel. The oil is extracted via pressing, which produces a liquid that is dark to clear light green in color. 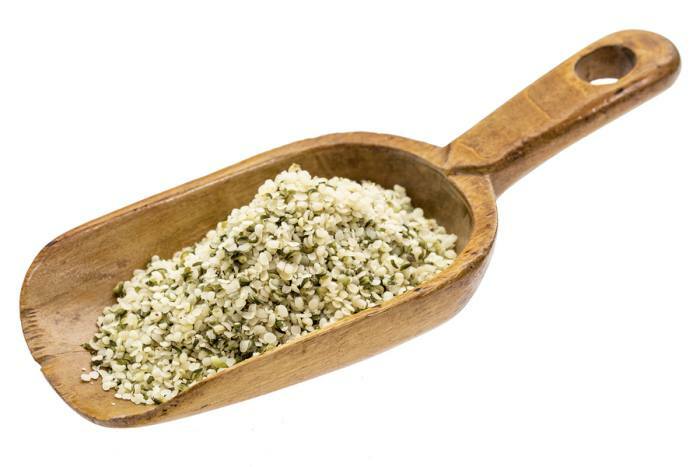 Do Hemp Seeds Have THC And CBD? The industrial hemp plant has very low levels of the psychoactive cannabinoid tetrahydrocannabinol (THC), with most of that in the leaves and flowering heads. While the shell of the hemp nut may contain trace quantities of THC (still not enough to have any effect), hulled hemp seeds are lower again – next to zero. The same applies in relation to cannabidiol (CBD). A Nut? What About Allergies? As hemp seed is a different type of dry indehiscent fruit to a nut, it’s often said people with nut allergies should be fine. However, as practically any food can create an allergic reaction in some individuals; claims of hemp seed being 100% allergy free should be treated with some skepticism. Cases of anaphalaxis after hemp seed ingestion appear to be quite rare; but have been known to occur. If you are prone to food allergies, it could be a wise move to first consult with your doctor or allergy specialist before consumption. Hemp hearts are the shelled/hulled seeds of the industrial hemp plant. While the shell can be eaten and is a good source of fibre, the hull has very little in the way of nutritional content. How Is The Seed Hulled? The shells are removed from the seed through being pounded, then immersed in water where the hemp hearts sink to the bottom and the shells float to the surface. The shells are skimmed off, the hearts are then drained and dried, ready for consumption. The following are nutrient values and weights are for the edible portion; i.e. the hemp hearts. Please note that some values may differ from product to product depending on quality and conditions under which the plant was grown. High in protein, vitamins and minerals, fibre and beneficial fatty acids, but low in bad fats – it’s a nutritional bonanza. While it wouldn’t be advisable to live entirely on hempseed, as you can see from the above, it can certainly provide many of the crucial nutrients required for good health and is probably deserving of the “superfood” label. 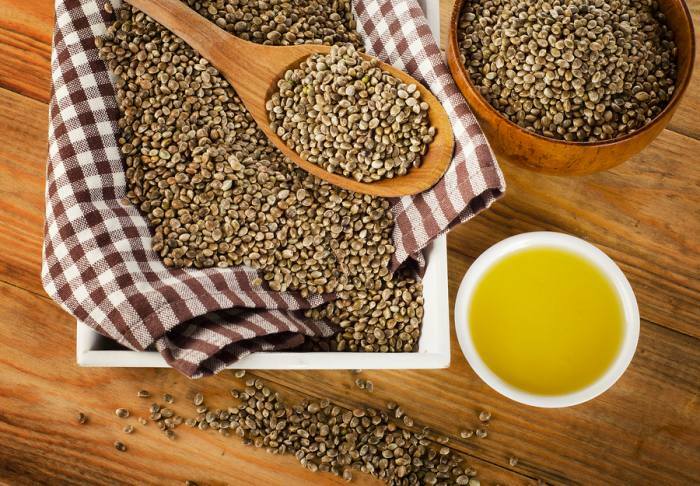 Is Hemp Seed Oil Better Than Olive Oil? linoleic acid (LA) Omega-6* (43-62%) – much higher than many olive oil products. There is some evidence to suggest hemp seed oil is better than olive oil for the heart, could assist with weight loss efforts and reduce the likelihood of insulin resistance, a precursor to diabetes. Yes, as far as we’re aware, hempseed is legal around the world. The last two countries to lift a ban on selling hemp seed for food were Australia and New Zealand. That ban ended in late 2017. Where Can I Buy Hempseed? There’s no shortage of online vendors offering hemp seed, oil and derived products these days. As with any product, shop around and review information carefully as not all are equal. In the early days of the hempseed boom, quality was a hit-and-miss affair with some products really not much more than animal-feed grade – and some of these products are still being marketed today, ready to trap the unwary. When looking to buy hempseed, also take note of whether the product shelled/hulled – this will make a difference in price. Can I Grow Hemp From Whole Food-Grade Seeds? In all likelihood, yes if you buy raw, unhulled seeds – but whether you should is an entirely different matter. Depending on where you live, growing your own industrial hemp may be illegal. If caught, it may result in a criminal record, a hefty fine or even jail time even though industrial hemp has zero recreational value. Yes, it’s crazy – but laws in many countries have some way to go in catching up with the facts about industrial hemp; one of nature’s most amazing plants.